Back in September we made a trip to Europe to visit my husband’s family. 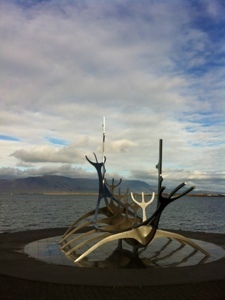 We spent most of our time in England, but due to the routing of our flights, we were going to have a layover in Reykjavik. After thinking about it for a half second, we decided we should probably get out and have a little look around. Iceland is a place I had always wanted to see, at least once, and I was getting my opportunity! When we got back, Tekaroo asked me if I would write a blog post about our favorite things in Iceland. Well, my blog post went live yesterday! If you are interested in reading it, the link is below. We had a lot of fun, and now know what we would do again or do differently next time. Each of these things would be on our “again” list! Recipe: sausage and pasta! Yum! Yep, Iceland keep “popping up” on things to do… diving, Volcanoes, and a lot of other things that are starting to make it a destination place.. Interesting…. 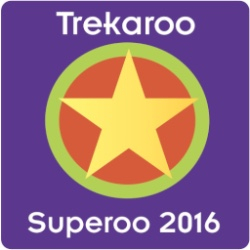 Hi – I’m a Trekaroo-er also and found your Iceland blog on Trekaroo (also left a message for you there.) We’re thinking about a trip to Iceland this summer with our three kids and had some questions I was hoping you wouldn’t mind entertaining…hotel, car rental, length of stay etc. Would you be up for communicating via email so I can run some questions by you? Thanks so much in advance!! Hi Meghan! I just sent you an email and would be happy to answer questions I can! Thanks!